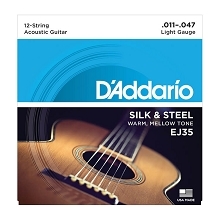 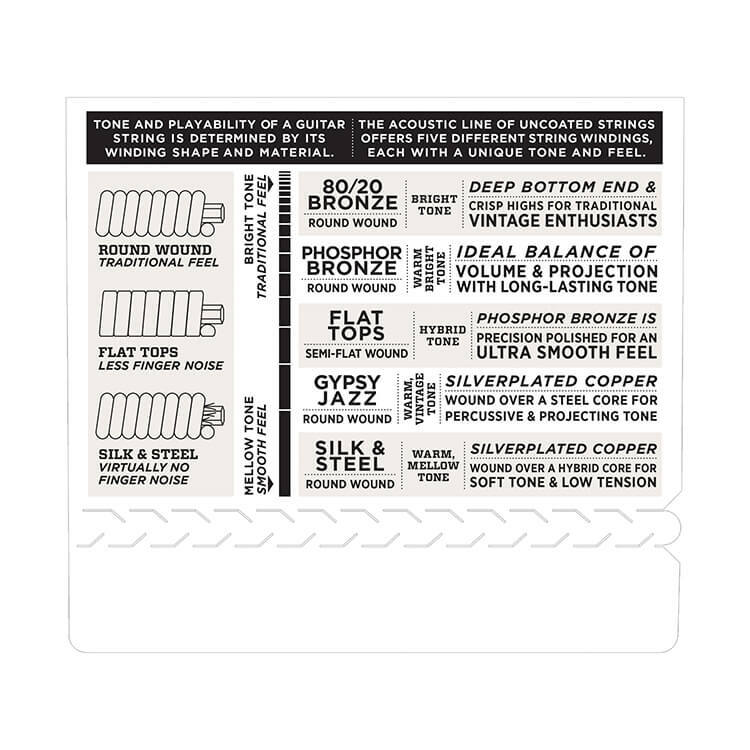 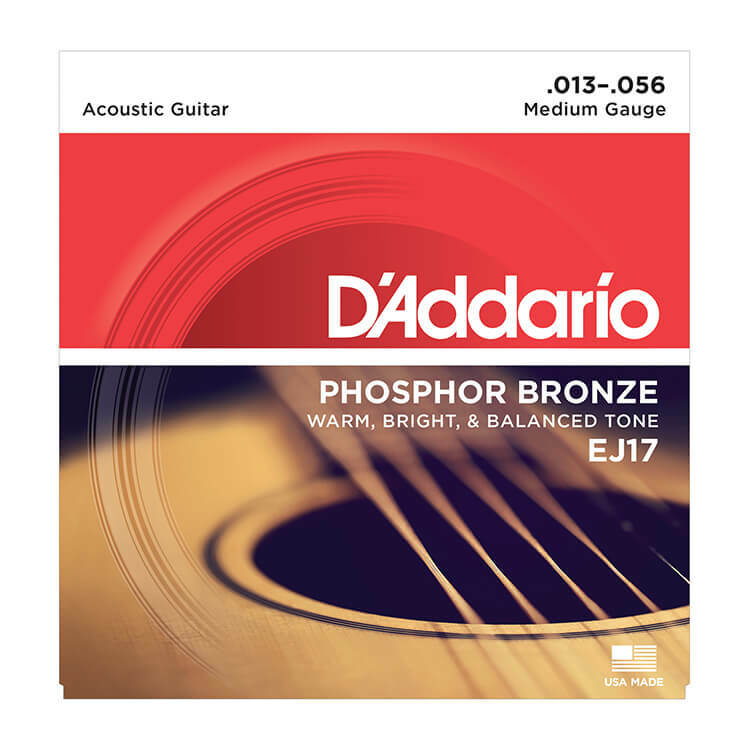 D'Addario Phosphor Bronze Acoustic Guitar Strings produce a warm bright and well balanced tone for all kinds of acoustic guitars. 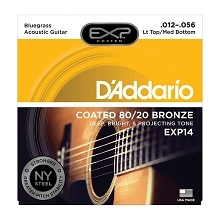 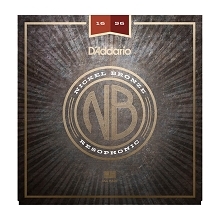 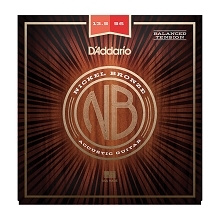 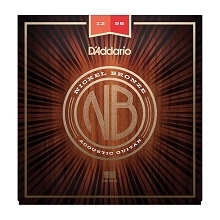 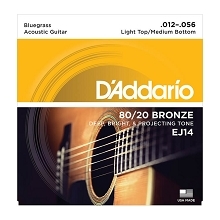 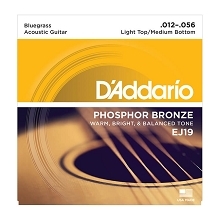 D'Addario Phosphor bronze strings have a long lasting tone and play with ease. 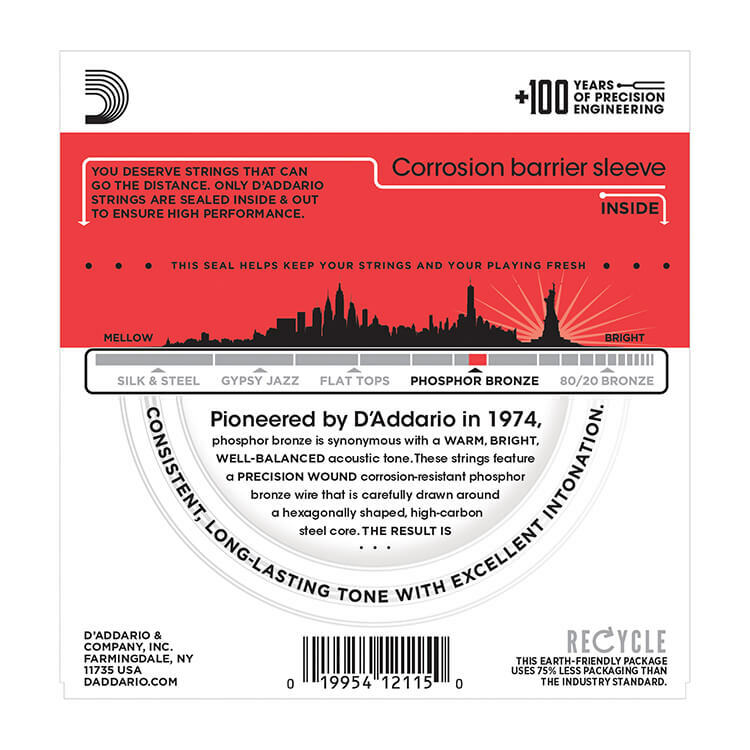 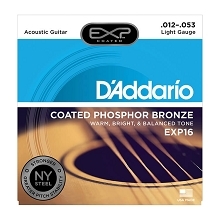 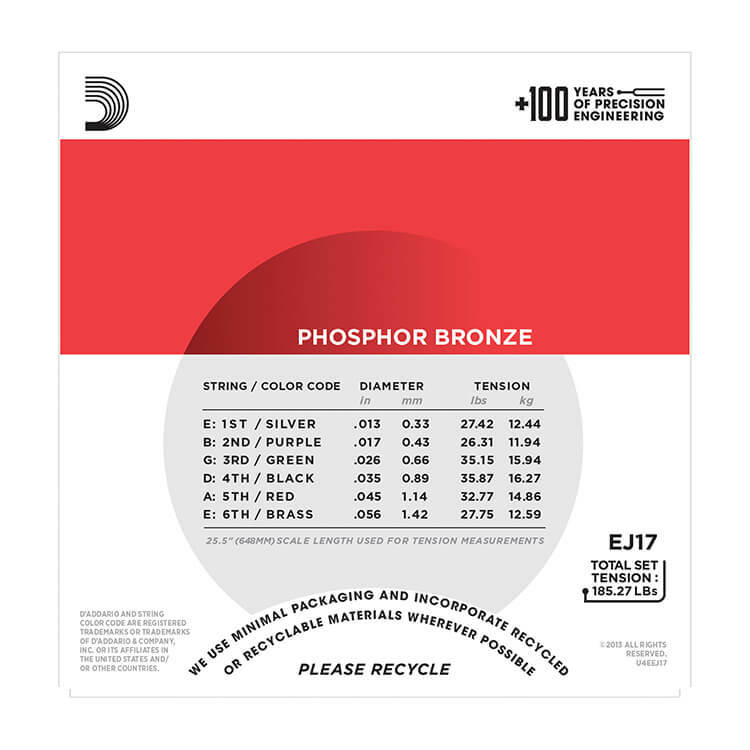 D'Addario introduced the string making nation to Phosphor Bronze in 1974 and quickly became known for its warm, bright, and well balanced acoustic tone. 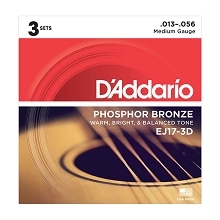 D'Addario phosphor bronze strings are precision wound with corrosion resistant phosphor bronze wrap wire onto a carefully drawn hexagon shaped high carbon steel core. 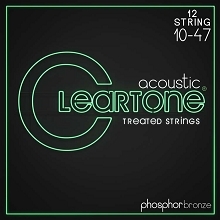 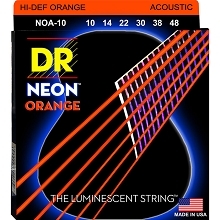 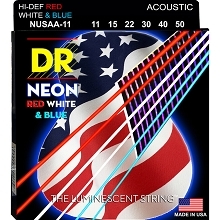 Resulting in a string that is long lasting and bright sounding with excellent tuning stability and intonation.